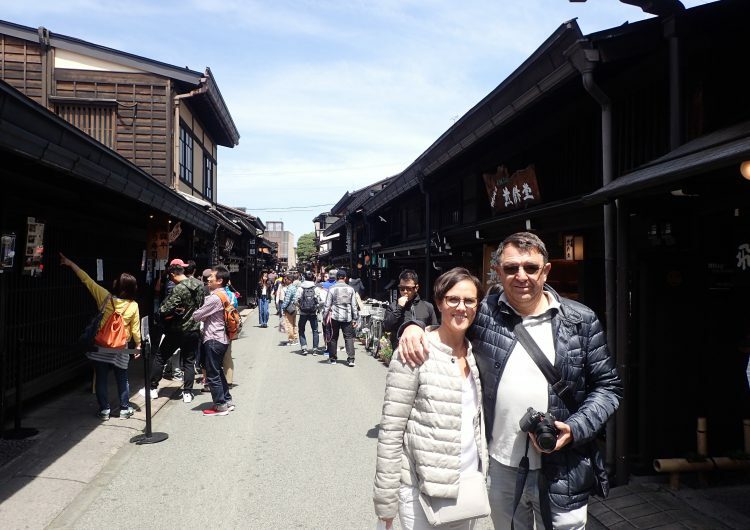 We offer walking tours in Takayama and Hida Furukawa with different themes. In Takayama, we focus on local foods. People’s daily life still revolves around its longstanding traditional shops such as the Tofu seller, Sake brewery, Japanese sweet shops and many more. Hida Furukawa, Known for the animated movie “Your Name”, is a small picturesque town located next to Takayama. If you are looking for the non-touristy town, this is the palce to visit. Learn about the history, wooden architecture, festivals and more from the guide. 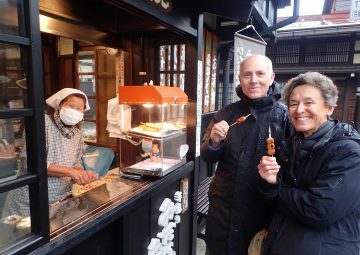 The Takayama Food & Culture Walk is a guided culinary tour through the unique cultural sights of Takyama. 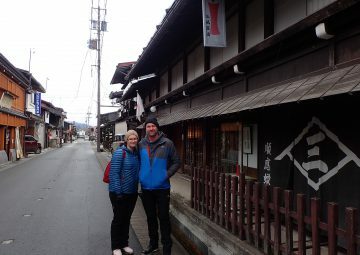 Takayama is a town famed for being deeply rooted in its local culture and history, where daily life still revolves around its longstanding traditional shops such as the tofu seller, sake brewery, Japanese sweets shop, and many more. This tour is unavailable temporarily. We will announce when it is available. Sorry for the inconvenience….